Moving up the ladder of success, India has shown progress in many spheres and is being accounted for its achievements among the globalized world; but some dark and grey patches still make the story grim and put a pause on its journey ahead. The country is fettered with many issues, but some raise big questions on its very own identity and the condition of people at large; thus pushing the nation in a vicious circle of slump. One such issue is Girl child’s education in India. While most of the Millennium Development Goals face a deadline of 2015, the gender parity target was set to be achieved a full ten years earlier by 2005 – an acknowledgement that equal access to education is the foundation for all other development goals. Yet statistics show 53% of girls in the age group of 5 to 9 years are illiterate, Dropout rates increase alarmingly in class III to V, its 50% for boys, 58% for girls, More than 50 per cent of girls fail to enroll in school; those that do are likely to drop out by the age of 12 Until equal numbers of girls and boys are in school, it will be impossible to build the knowledge necessary to eradicate gender inequality ,poverty, combat malnutrition and ensure development. Education is an enabling factor that promotes freedom. The girl’s right to equality, dignity, autonomy and privacy flows from it and even the other human rights as protection from oppression, child labour, and early marriage etc. are inbuilt into the concept. The asset of education has a” multiplier effect” on a girl’s life: it imparts self-confidence, promotes gender equality, helps in making informed choices, encourages to demand their rights, enhances their ability to resist oppression and broadens their horizon, for example Educated girls are likely to marry later and have fewer children, who in turn will be more likely to survive and be better nourished and educated. Educated girls are more productive at home and better paid in the workplace, and more able to participate in social, economic and political decision-making. A comparative study between states of Kerala and Bihar can well illustrate the above mentioned impacts. Although the female literacy rate as per the 2011 census has been recorded at 64.6%, an increase of 10.9% above 2001 but far lower than boys recorded at 73%, there is an overall increase of 19.2 % in girl’s total enrollment, but the share of girl’s enrollment to the total enrollment in higher classes (upper primary) is low. While at the primary stage, girl’s enrollment is 48.13%, at the higher secondary level it is just 42.56%. This indicates that a considerable number of girls dropout from formal schooling as they move to higher classes. It is important to introspect the reason behind these figures, gender stereotyping and many socio-cultural realities of girls life affects these facts at large –Boys are considered more useful hence educated, Girls are known in India as”Paraya dhan” and tradition of dowry further acts as a deterrent as available money is necessarily needed for girl’s marriage thereby restricting its usage for education. Stuck by poverty she is forced into labor or is expected to take care of younger siblings’ and house hold work. Natural cause as menstruation and caste are often the cause, for girl’s illiteracy. And moreover those willing to send girls to school are unable to count any substantial returns from investment in girl’s education because of lack of jobs and inadequate learning outcomes. Through a proper and careful road map India can convert its half the population into its real strength Various educational schemes such as SSA, KGBV’S, NLM and other constitutional policies as RTE should be repositioned to tackle issues specifically related to girl’s socio-cultural environment. Steps like Vocalization of education for better economic prospects, separate toilets for girls, awareness about schemes, strict implementation of RTE norms, schools within reach, and other such combination of factors can make India a “developed nation” and a “Super Power” in real sense. Richa Kapoor is currently working as Research Associate at Adhrit Foundation. 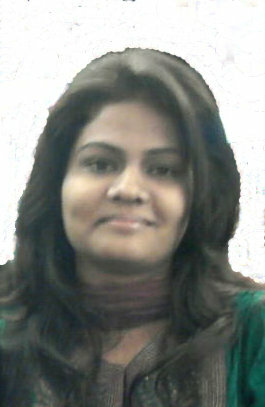 She has done PGDM in Fashion Retail Management from Pearl Academy of Fashion, Jaipur. She also holds 2.5 years work experience as a Retail Planner. She is an active debater and an avid writer. She actively participates in various social service initiatives. Her interest lies in Social Sector Management and Child Education.